The attacking midfielder Pere Milla, who signed from UD Logroñés and the centre half Unai Elgezabal, who came from Barakaldo CF, have been signed by SD Eibar as prospect players. 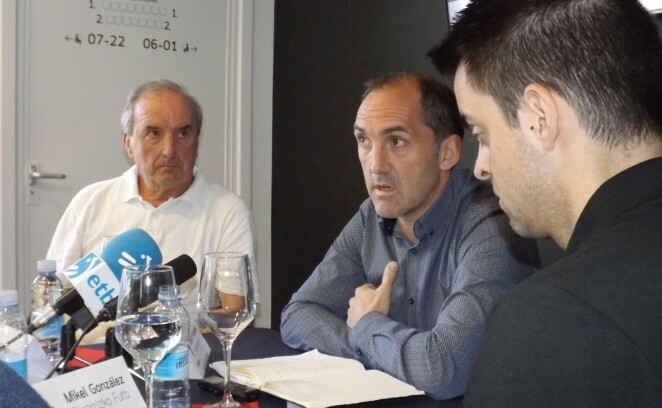 At a press conference, the Sporting Director of the Club, Fran Garagarza, announced that both players will do their pre-season training with the first team and will then be loaned to other clubs, preferably in the Second A division, to gain more experience. Pere Milla, born in Lleida 23 years ago, is an attacking midfielder who played last season for UD Logroñés in the Second B division, scoring 18 times in 40 games played. He has signed for two seasons. For his part, Unai Elgezabal, born in Urduliz (Bizkaia) 23 years ago, is a central defender and has signed for three seasons from Barakaldo CF where he has played 29 games and scored 2 goals during the last season.